Now in Japan, plum blossom is blooming. This signals the end of winter as we are moving towards spring. 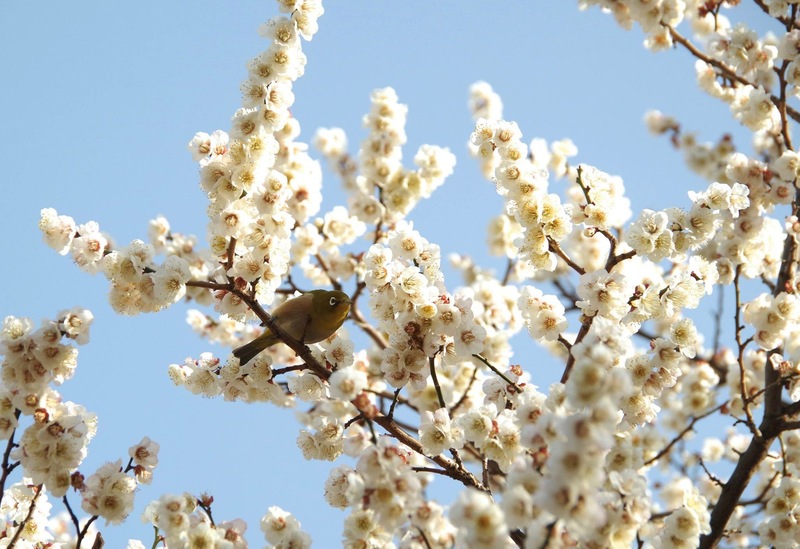 Green birds (Uguisu, 鶯) started to appear again after a long cold winter.